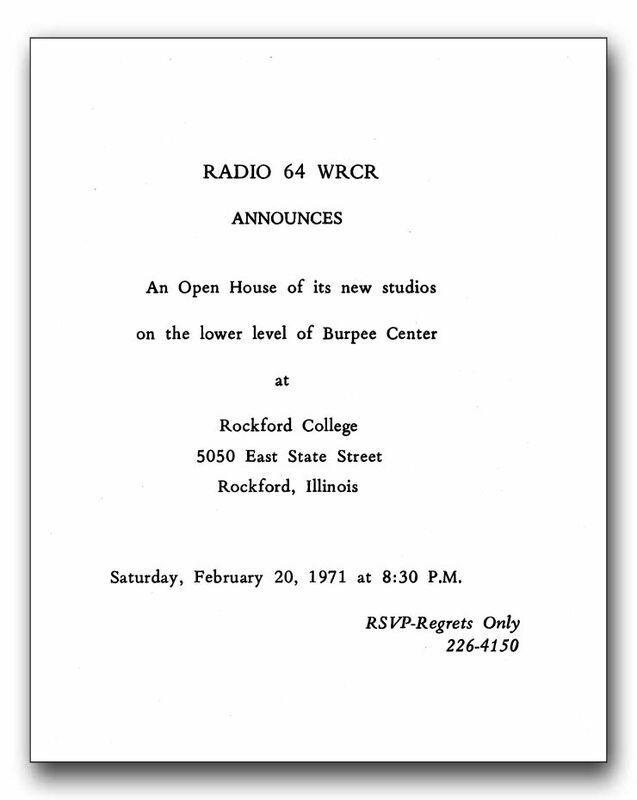 This is the inside of the invitation to the February 1971 Open House showing off WRCR's new studios. Invitaitons were sent to college faculty and staff plus newspaper, radio and television staffs in Rockford. The student body was also invited.